The story of flight is one that has always fascinated man. Well before the Wright Brothers (who, incidentally, were not the first to fly – but that’s for another story! ), man was curious about how to break free from the chains of gravity and soar. That curiosity arose from the fact that we can’t fly naturally. We needed bright minds and impressive technology to grace the sky. Of course, man always wanted to emulate what birds and insects do naturally – like the bee. When one sees a bee fly one tends to accept that bees can, in fact, fly. But there was once a certain breed of scientist that continued to ask the question, even when faced with the obvious visual “proof”. He concluded that it is physically impossible for bees to fly! He was subsequently joined by others who reached the same conclusion. There was a pesky problem, of course. It was merely our lack of understanding that led to the conclusion that bees defied the laws of physics. Magnan was drawn to this theoretical conundrum largely by the rather obvious (to him) example of the bumble bee. Compared to a honey bee, the bumble bee has a thicker and heavier body. But the curious question of flight still applied to honey bees. With a purely scientific and mathematical perspective on the flight of bees, we focus on factors such as weight, surface area of the wing, speed of the flapping wings and so on. The application of these principles led Magnan to his conclusion. Coupled with the mass of the bee, Magnan also expressed concern about the rapid, somewhat fragmented flapping motion of the wings. This apparent chaos contrasts with the graceful gliding action of many birds. One explanation is that bees embrace a different set of aerodynamic principles, as their flights progress. 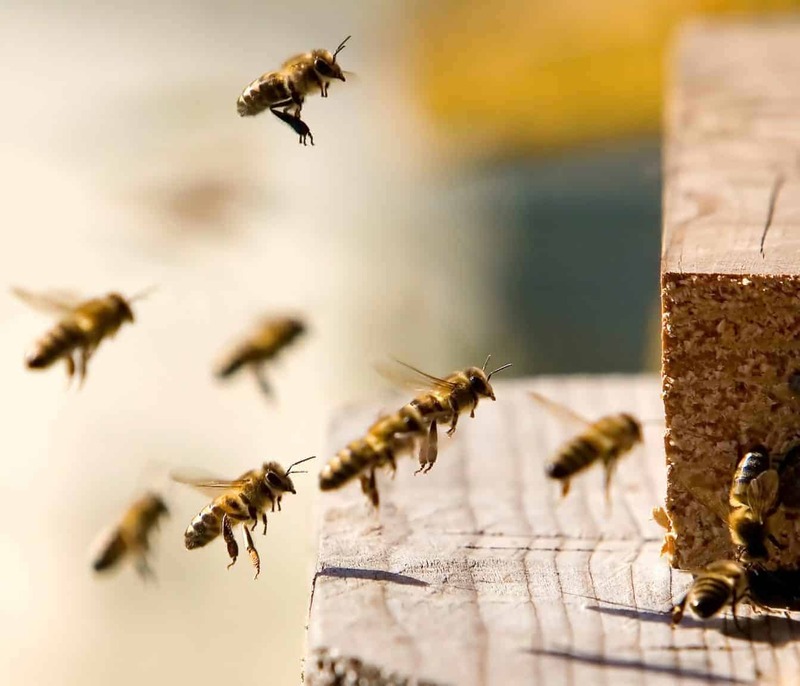 For example, as they leave the hive they are light and quick. They eventually load up with pollen and nectar and become heavier. But they also need to fly quickly and directly at some points of their flight path, such as when flying to a flower and and then slowing down to a hover. How do honey bees differ in flight? Many insects and birds use large, sweeping strokes of their wing to achieve and maintain flight. With the honey bee, things are not quite so efficient and they use shorter, quicker flaps of their wings. Typically, insects flap their wings through a wide arc, often over 160 degrees. They do so relatively slowly, at least compared to the bee. A honey bee restricts the arc of her wing flap to around 90 degrees, but at a rate of 240 times per second. This approach supports varying degrees of lift during the start, middle and end of each flap of the wings. Beyond the arc and speed, bees use some other techniques too. Their wings divert air on the trailing edge, such that it flows downwards. The resultant eddy creates an upwards thrust on the wing. This alone won’t create enough lift, especially at the start of flight. So, at takeoff time a bee will thrust her wings above her back, pushing the air between them aside quickly. When the bee returns her wings downwards there is a brief lack of air – and she has lift. Despite the claims of scientists of yesteryear, we are going to maintain our stance that bees can fly!